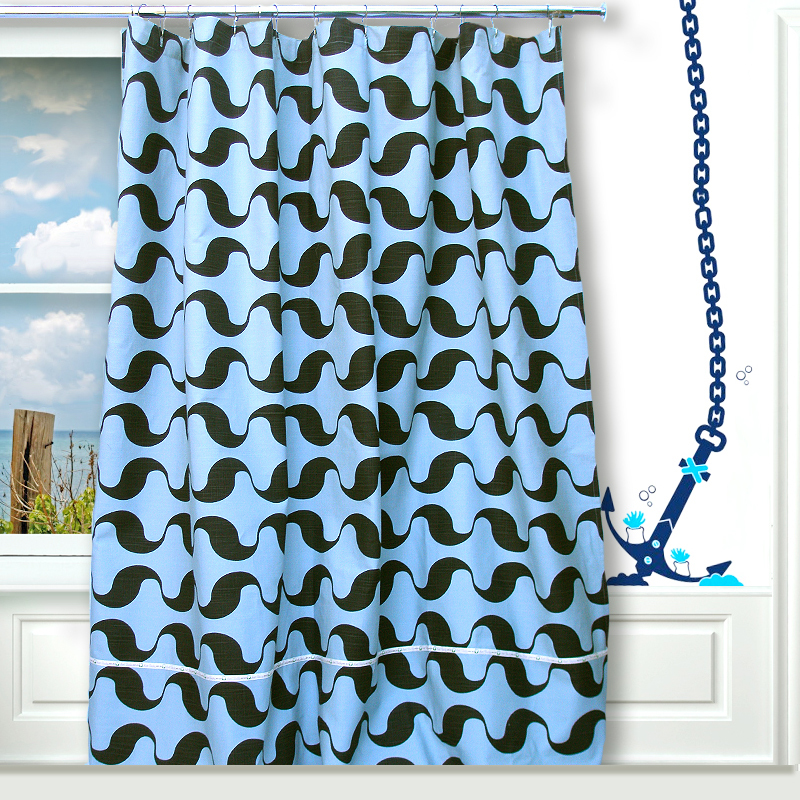 Wavy Window Curtain is part of our new Aunt Bucky Home Décor Collection and is 100% cotton and machine washable! Our adorable cotton panel adds both shade and bright décor to any room. This full panel will transform your room as soon as you hang it up! Categories: Home Decor, Sale, Window Curtains. Tags: Aunt Bucky, beach decor, blinds, cotton curtain, curtain panels, curtains, drapery curtains, drapes, Kids Decor, Kids Room, kids window curtains, room divider, window curtains, window panels. 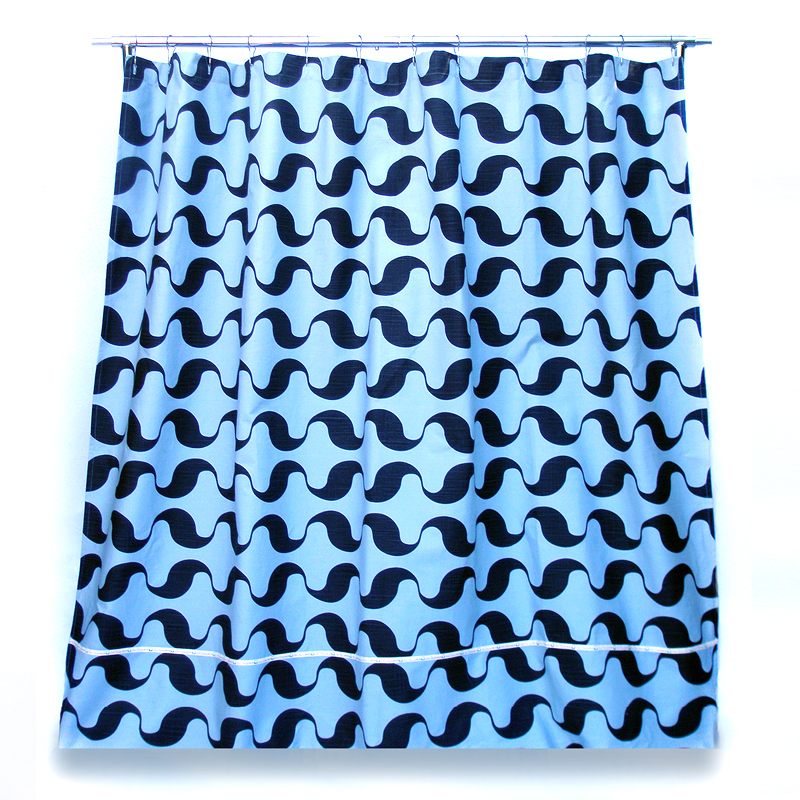 Wavy Window Curtain is on SALE for $10.00! Our adorable Wavy Window Curtain Drape cotton panel adds both shade and bright décor to any room. This full panel will transform your room as soon as you hang it up. Using our signature high-end 100% cotton canvas fabric to make this heavy draped panel to shut out light for a little tiny one to sleep well or used to panel off of room so it become two rooms was Aunt Bucky’s intention to make this one multi-purpose curtain in one’s home. Dark navy blue background with a baby blue wavy modern art print graphic gives this curtain a style that can be used in a room that is gender neutral or a nautical themed room in any part of the house. Easy to set up with stitched hem to enter a curtain rod and easy to get down when needed to throw in the wash, yes it’s washable! – Blocks sunlight out of the room. – Designed to help children sleep more easily and more deeply while also reducing stress levels. – Can simply pull it to the side when you want to let more light in. – Can be be hung from rings with clips, such as the popular ‘clip rings’ (not sold with this item). – Embellished with our signature ribbon tape, ‘Made with Love Aunt Bucky’. – Buttonhole top for hanging. – 1 panel 72″ x 72″ Dimension.